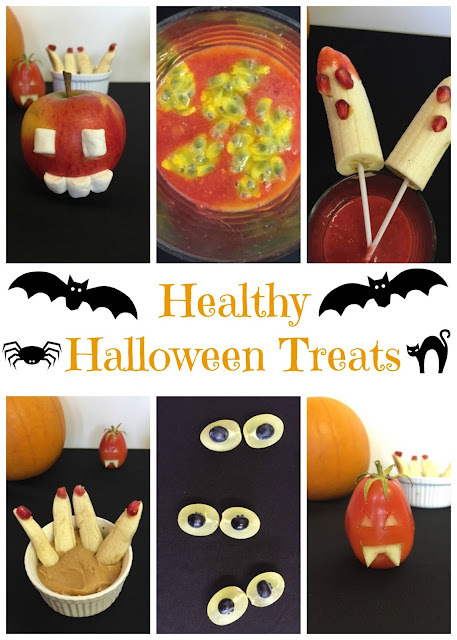 Halloween is here and it is a time of year that we can have some fun with food. As it is half term for the children I thought it would be fun to serve them a spooky lunch. This meal is so effective and so easy to make and is always a winner with children! 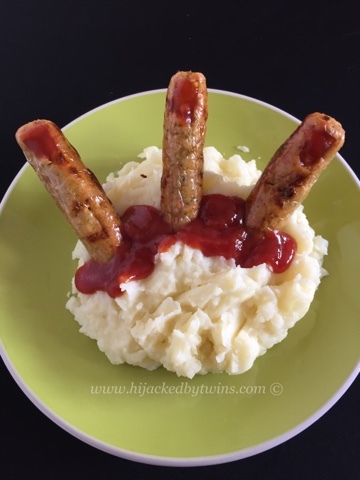 Today I am going to show you how to turn sausages and mash into spooky severed fingers in mash! I love peanut butter and jam. I love the savoury taste of the peanuts combined with the sweetness of the jam. 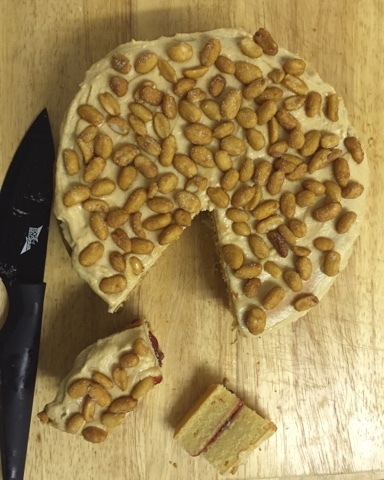 So what better flavours to combine in a peanut butter cake! 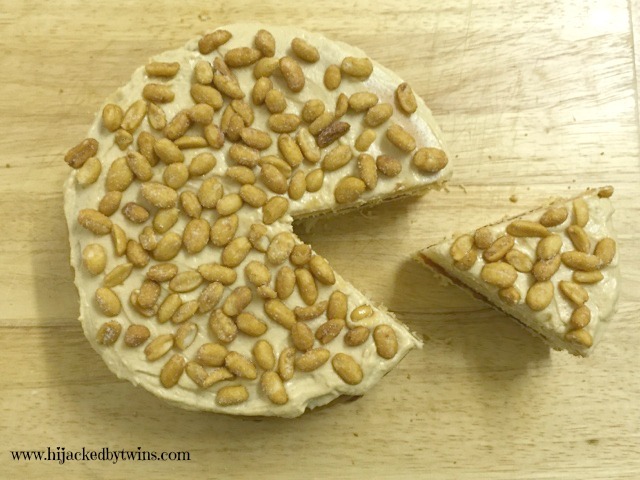 The peanut butter gives the cake a lovely stodgy texture that any peanut butter fan will love! 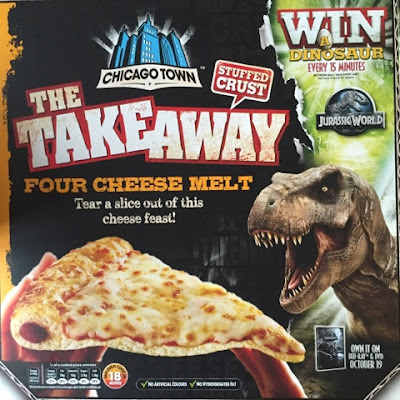 With the release of the new Jurassic World movie on DVD Chicago Town are celebrating by giving away one free dinosaur every 15 minutes! You may remember a while ago I mentioned that we were planning to extend our house. Things are still going ahead but it will now be next year when we get the work completed. We have also changed our mind on the use of the extension. Originally we had planned for the new area to be and kitchen, dining and living area. Now that we have had all of the plans drawn up we are not too sure if there will be sufficient room to make the extension everything that we wanted in one area. At first I was disappointed but after a lot of thought we have a solution that will work better for all of us and maximise the space. The extension will be built onto the back to the house, as previously planned and the area will be a living area and the kitchen will be open plan. But we will now change our current living room into a large dining room. Therefore I now have an extra room to plan for! This is both exciting and a bit daunting! Even though we are not getting the work completed until next year my mind is already full of ideas! What furniture I would like, what colours to pick, what style to go for, what carpet to select and what blinds to go for. The list is becoming endless! At this time of year I love using my slow cooker even more than usual. There is something so warming about a meal that has been in the slow cooker all day. Slow cooker meals are also a great meal to have on a busy day. You can simply prepare the meal and leave it to cook throughout the day and enjoy in the evening. Slow cooked meals are so flavoursome as the slow cooking process allows the flavours to combine together like no other. 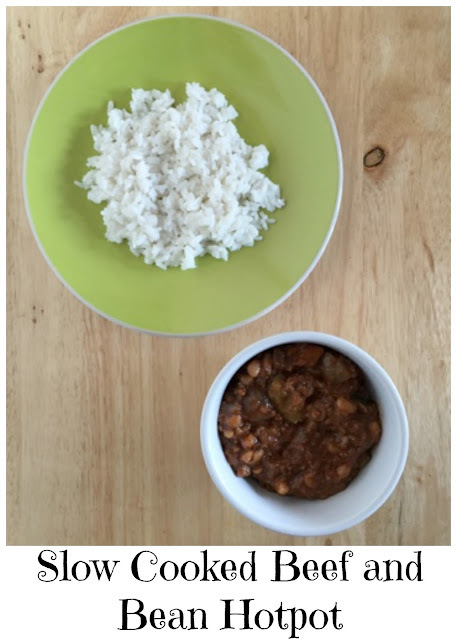 This meal is inspired by chilli con carne but is more child friendly as it has a more mild taste. The kidney beans have been replaced by baked beans and some extra vegetables have been added. 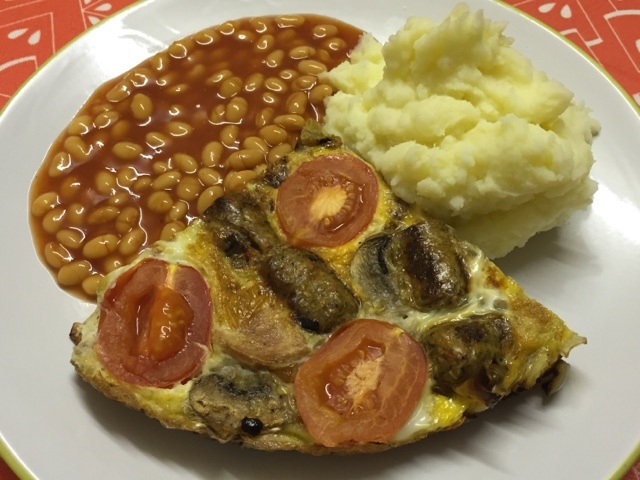 First of all, as always, I want to thank everybody for joining in with CookBlogShare last week. Thank you to Steph from Misplaced Brit who shared three delicious pumpkin recipes and did a great job at hosting, thank you! When it came to choosing my favourite recipes from last week the was a dark connection to them all. With Halloween coming up I have decided that this weeks collection is the dark roundup. All four recipes feature dark ingredients that are perfect for this spooky time of year! This week is half term week for us so more than ever it is important that I meal plan. It is one less thing to worry about during the busy week. As I am still not driving much due to my back I have just upgraded our Ocado Smart Pass from midweek deliveries to anytime deliveries. This means that instead of doing one big shop and going out for forgotten items during the week and inevitably picking up and spending more than I wanted to, I can do two smaller shops spread over the week. I hope this will save both money and food waste. I am sorry but I am going to use the big C word. Last week I booked my Christmas delivery slot! It may seem early but I always get the Christmas foods delivered. There is nothing worse than battling the Christmas rush with the kids. I will admit to having a basket full of spirits and prosecco to reserve the spot! Last week I shared a low syn recipes, family night foods, a great foodie competition and some healthy Halloween treats. This week has seen the children break up from school for the autumn half term. The last 6 weeks have flown by. My back is still not good but I have finally got a level of medication which has certainly reduced a lot of the pain. So I haven't been far but am still finding plenty of pictures to take. Sunday was my dads birthday. We enjoyed a lovely meal at their house with my sister and her family. This meant I had lots of cuddles with my gorgeous baby niece and the twins played with their favourite play mate, their cousin, my other beautiful niece. As you can probably tell I think the world of them both. It was only in the evening I realised I hadn't taken a picture all day! During the day I had finished sewing all of the granny squares together for Isabella's crochet blanket so I have now started to crochet the boarder. 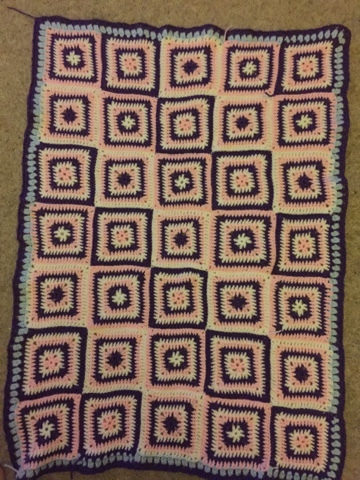 I am hoping to finish it this week as I have already started another project. Watching what you eat doesn't always mean you have to miss out on the foods that you love. Following the Slimming World plan has shown me this. By adapting and swapping a few ingredients you can enjoy meals that you love, and what the whole family will eat! So when I really fancied a good old fry up I decided to make it with a healthy twist! 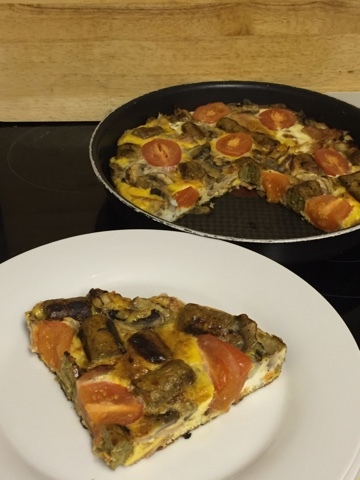 This delicious, traditional English breakfast inspired frittata contains just 1 syn per average serving containing 2 vegetarian sausages. 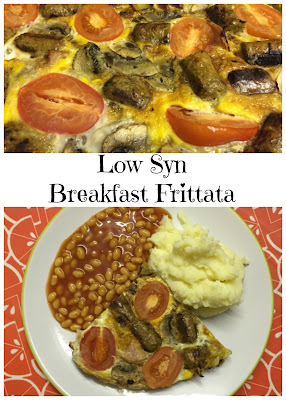 I replaced the higher syn content sausages with tasty vegetarian ones and replaced bacon with healthier turkey rashers which are syn free! I also found that this was a great meal to use up a lot of eggs! We have recently had lot of eggs that needed using up. Having three chickens mean that they soon mount up! When Halloween comes around it is fun the have lots of goodies. But the goodies do not always have to be full of sugar and nasties! 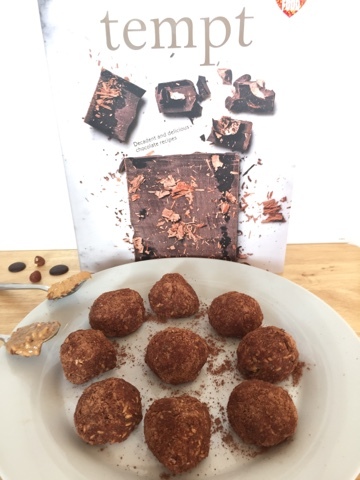 So when Aldi challenged me to create six healthy treats I was definitely up for the challenge! Here are my six spooktacular treats!!! 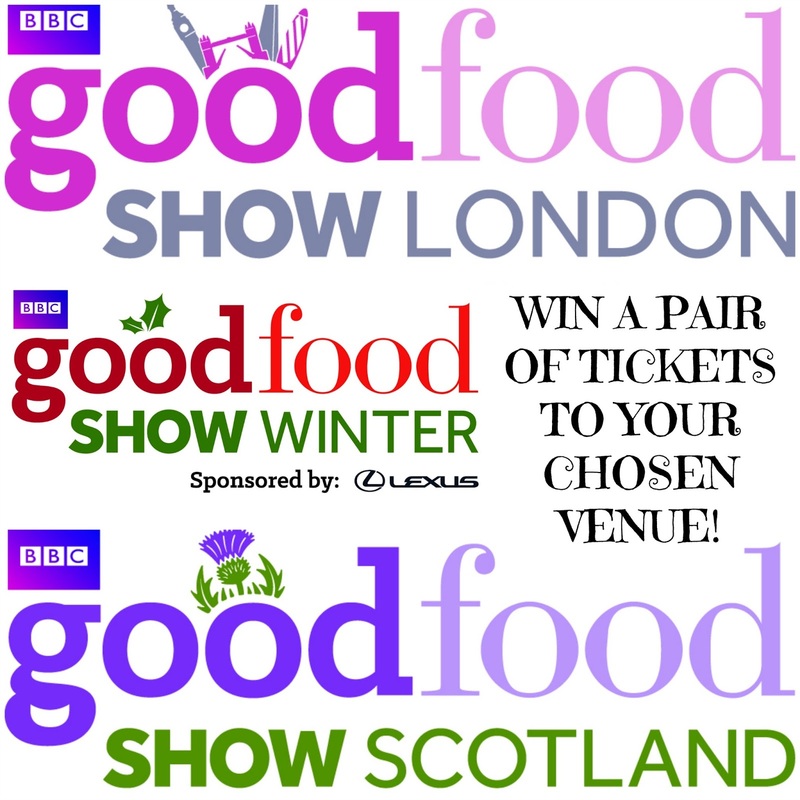 Last year the hubby and I enjoyed a fantastic day out at the BBC Good Food Summer Show. It was a jam packed day full of foodie delights and treats! 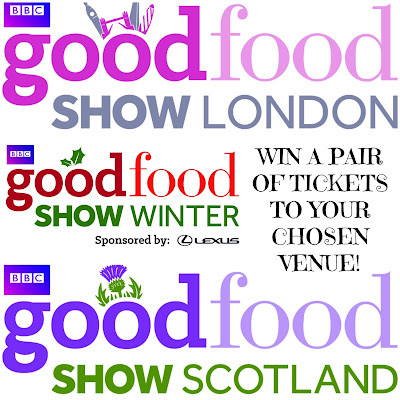 Unfortunately I am not able to attend this years BBC Good Food Show Winter but I am able to offer a pair of tickets to a lucky Hijacked By Twins reader! To give you a taster of what you can expect from a BBC Good Food show I thought I would share with you a bit of what we saw when we were there. If there is one treat that we all love in the Hijacked By Twins house is a good pizza night! But as I am sure many of you will know that to treat a family of five to take away pizzas and sides is not cheap to do! 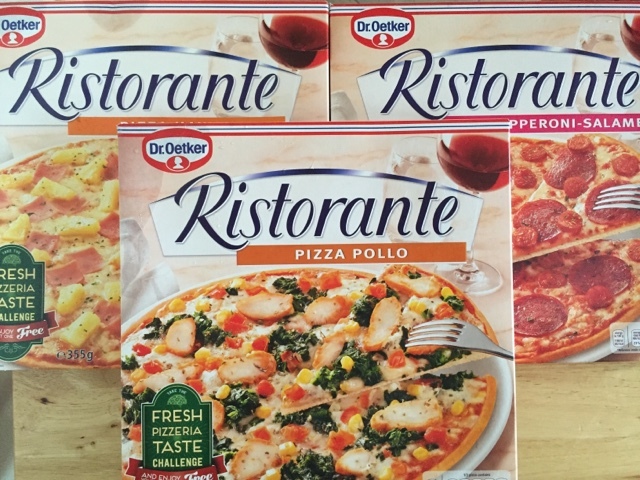 This is where pizzas Ristorante from Dr Oetker come in handy! They are a fraction of the price of a take away! 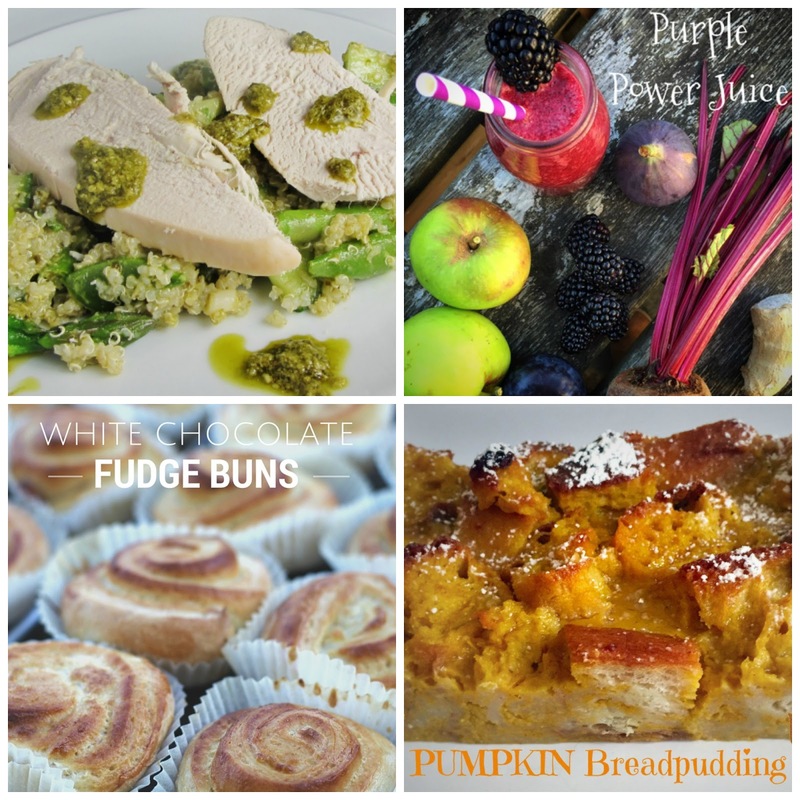 Last week we had an amazing 29 recipes linked up to CookBlogShare which was fantastic! So thank you to you all for joining in! 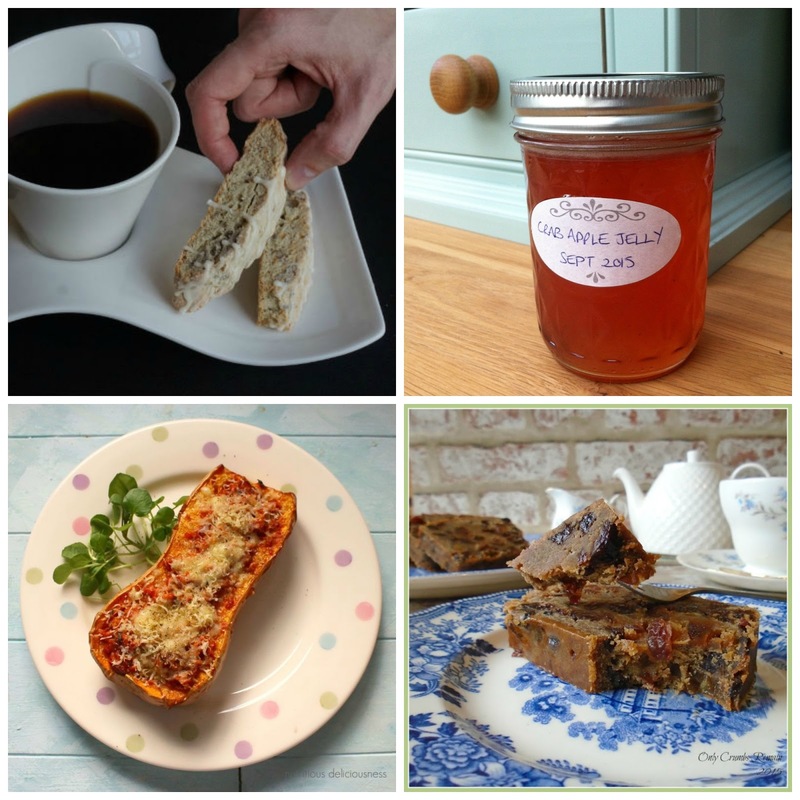 It is lovely to see so many of you return each week to share your recipes and I love seeing new people joining in and I hope to see more recipes from them. Thank you to Mandy from Sneaky Veg for hosting week 13 of CookBlogShare and doing such a great job! Last week saw the start of Halloween recipes, I am sure that we will see many more over the next couple of weeks. I also love how the recipes change with the seasons. I don't know about you, but at this time of year I love slow cooked meals. They are not just easy but so full of flavours! At the moment I will admit to having a sweet tooth so the recipes that I have chosen this week would certainly satisfy my urges for sweetness. But I am pleased to say that there is an extremely healthy choice in there are well as some free from recipes! 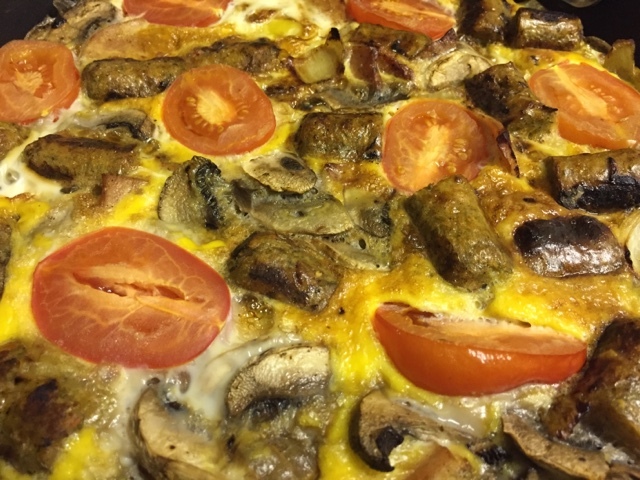 As my back is still not great, but better than it was, I am planning for quick and easy meals which do not involve standing over the oven for a long period of time. This week the quicker the better! Last week it was national chocolate week and national curry week so as you can imagine we enjoyed a lot of both! I wish that I could say it has been a great week for me but it hasn't. My back pain is continuing so I have barely left the house. My mum has been an enormous help by doing the school runs for me which I am so grateful for, we'd be lost without her help! But on the plus side I have been given some additional tablets and I am starting to feel some relief from the pain, so fingers crossed next week will be better! As for everyone else, the kiddies have had a great week. Joseph has been on two school trips, the twins have had some great mornings at nursery and the hubby has been so loving and caring while I'm not well! 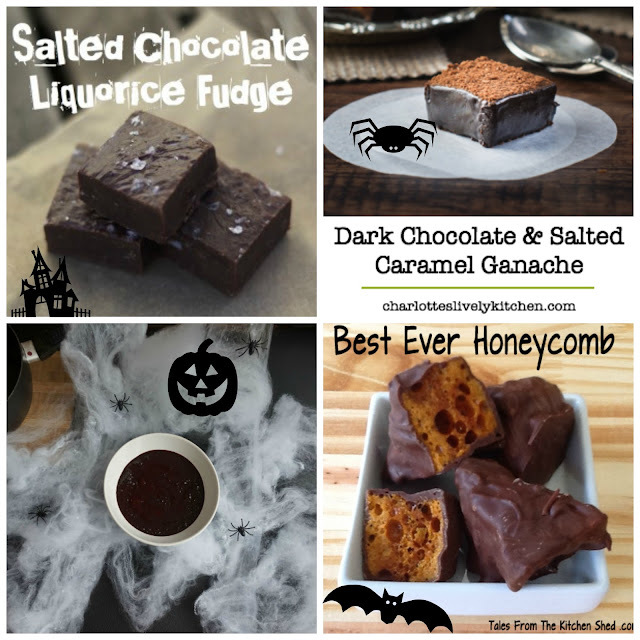 Here is our week in pictures..
As it is National Chocolate Week I thought it would be good to look back at my previous chocolate posts and share with you my favourite ones. It is also a chance for me to remember the older recipes and get baking them again! I have also searched through some of my favourite foodie bloggers sites and have listed my favourites that I thought you should really check out! 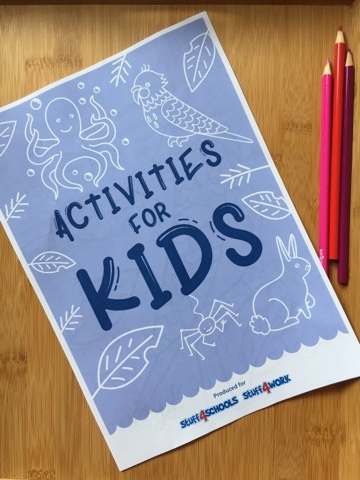 Children's Activity Booklet - Perfect For Half Term! It does not feel like the children have been back at school for two minutes yet we have a half term coming up! Yes, the children have just next week to go and then it is a week off! I always find the autumn half term a difficult one. 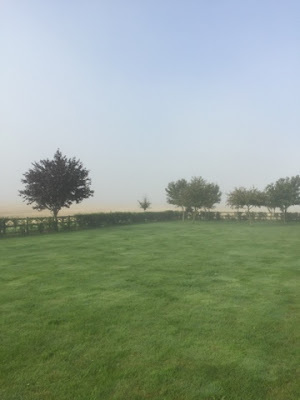 The weather is not always great so you cannot guarantee that you will be able to go out or let the child play out in the garden. So it is essential that you have some back up plans and are prepared for days inside. I have already got some baking activities planned after the twins pointed out a few recipes that they would like to make. But other than that, so far, I have been stuck. 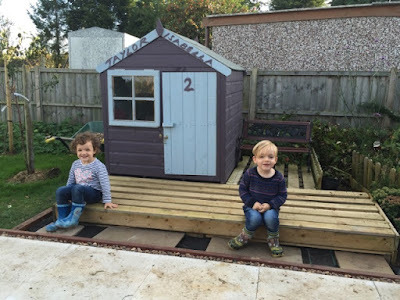 Since they started nursery they have wanted more structured activities to do, so when I was asked if I would like to look at some activity booklets that are available online to keep the kids busy I jumped at the chance! What more of excuse do we need to enjoy a curry? It is National Curry Week so we have to make a curry or two, it would be rude not to! I will admit to usually making either chicken or beef curries. 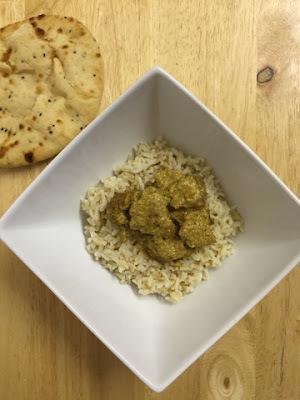 I tend to use what ever is leftover from a Sunday dinner and make our favourite leftover curry. 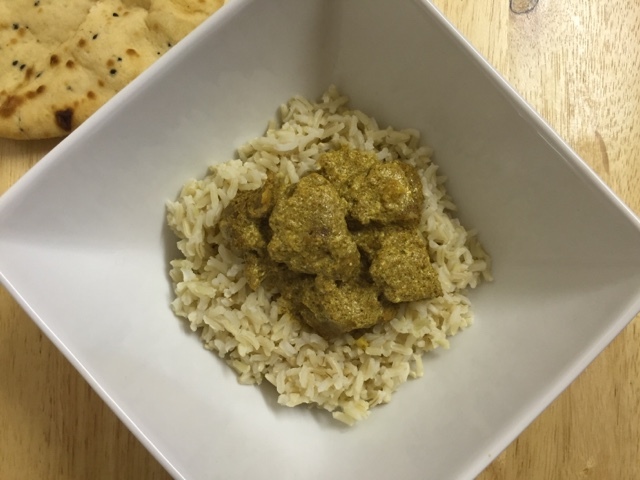 So when I was asked if I would like to make a curry using Welsh Lamb I could not wait to try it out. We all love lamb but simply do not have it enough. This National Curry Week I decided to make a curry which marinades the lamb to ensure that the all of the flavours are deep in the lamb. 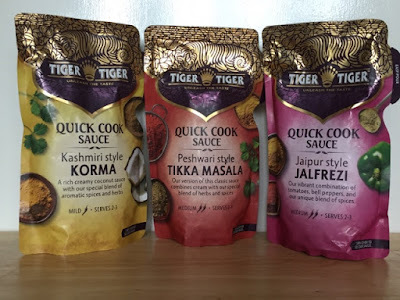 This week it is National Curry Week so I was sent some curry sauces to try from Tiger Tiger. Tiger Tiger are sauces that are developed my chefs from across Asia so that they can bring you authentic flavours and traditional sauces. 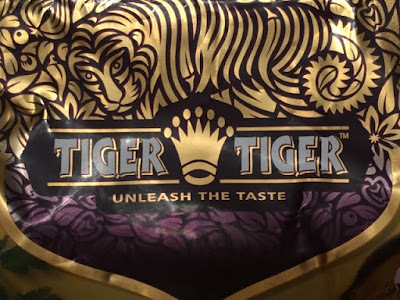 We all love a good curry sauce so I knew that Tiger Tiger really did need to impress us. So far we have found it impossible to recreate the quality of take away curry sauces at home. Tiger Tiger sauces contain everything that you need to recreate an authentic curry, all that you need to add is your chosen meat or vegetables. Don't you just love it when a national week is a food which you love! This week is both National Chocolate Week and National Curry Week! Two foods which are great! I was recently sent a copy of Tempt from Parragon Books. 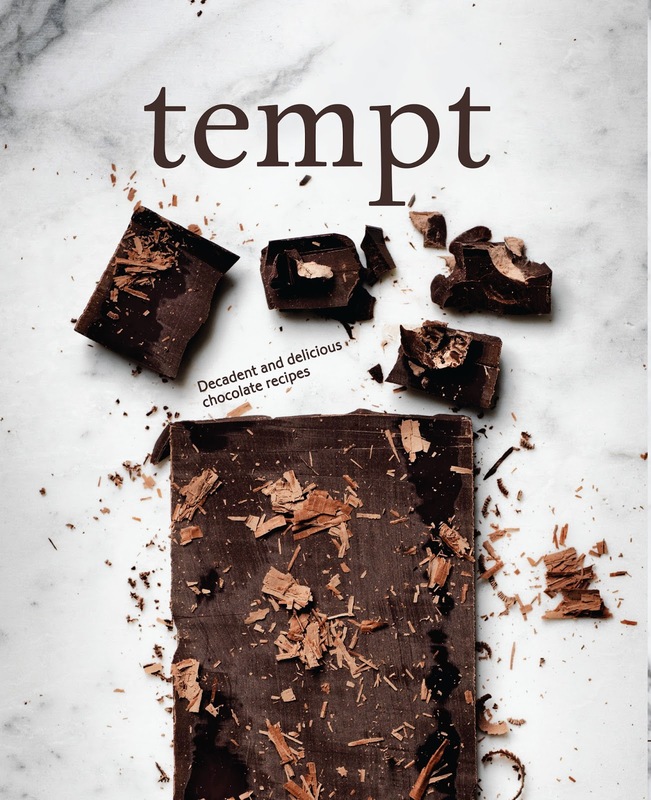 Tempt is a book dedicated to everything chocolate. It is full of decadent and delicious chocolate recipes from fudge to biscuits, from cakes to slabs, from ice creams to puddings. Every page will make your mouth water and your tummy rumble. I completely intend to make as many of these recipes as I can. When it came to selecting a recipe to try I will admit to changing my mind many a time. 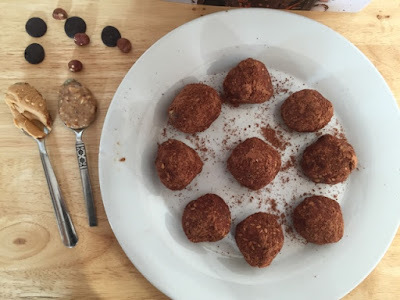 In the end I decided to make Plain Chocolate and Peanut Butter Energy Balls. 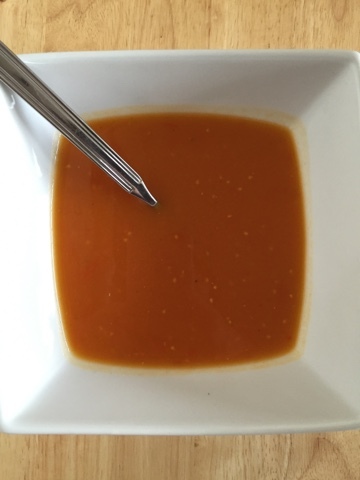 I selected this recipe as I love peanut butter and find that if you purchase the right sort of peanut butter it really is good for you and can provide you with a natural source of energy. The recipe also includes linseed and I decided to add my own different ingredients. I have altered the ingredients slightly to accommodate the added extras. But you can find the original recipe in this delicious book which is available to buy in Waterstones and WHSmith. Each week it is getting harder and harder to select my four favourite recipes. Last week we had 17 delicious recipes linked up to the CookBlogShare linky. When I read through the posts I normally make a list of recipes that stood out. 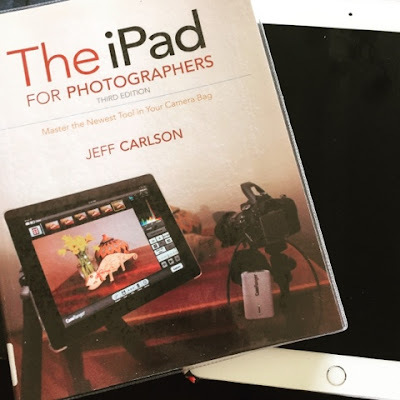 This week I had 12 on my list!!! Thank you for making it such a hard decision. I really do enjoy sitting a reading through them all. This week I have selected a meal, a drink, a snack and a dessert. This week there really is a recipe to suit everyone. I cannot believe how quickly meal planning Monday is coming round. We are already nearly half way through the month and I have already placed my Christmas meat order! This week is National Curry Week and National Chocolate week so we all have a great excuse to indulge a little! 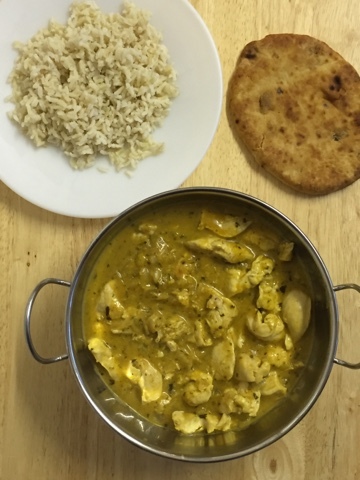 This week I will be posting a few different curry recipes and reviews along with a delicious chocolate cookery book review and recipe. Back to meal planning. 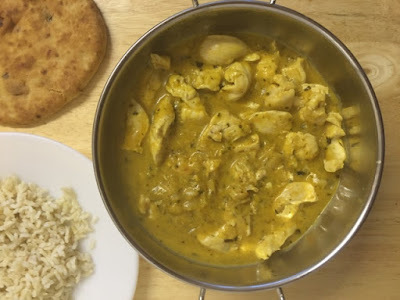 This week we are going to be having curries, warming autumnal meals and healthy lunches. This week hasn't been a great week. My back is still extremely painful and has been hurting more. So this weeks pictures have been what I've managed to take at home and of food! 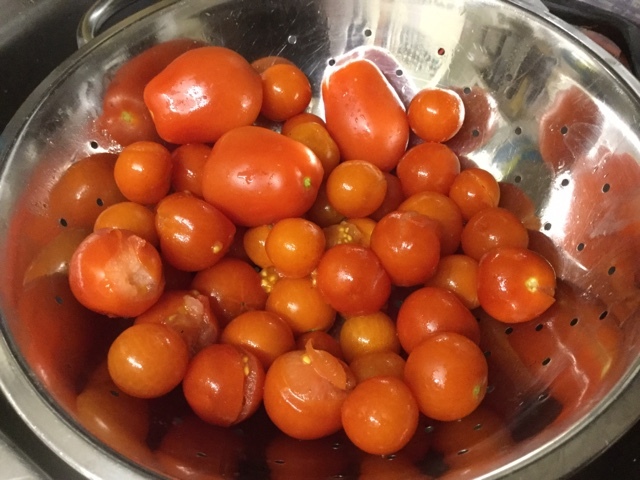 We recently had a glut of lovely, fresh, homegrown tomatoes. They all seemed to go red around the same time hence having so many. My favourite thing to cook when we have so many tomatoes is a soup. 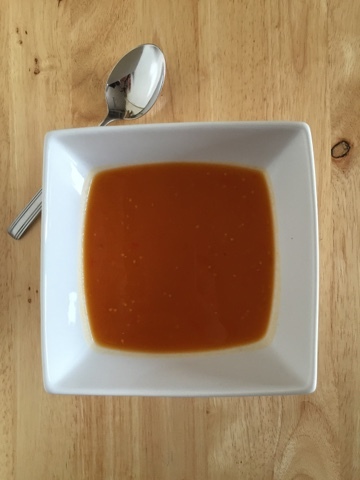 You can't beat a good, homemade soup. 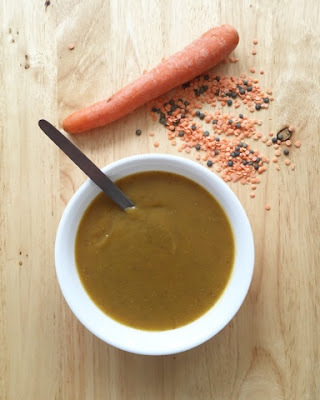 They beat pre made, shop bought soups any day and are so much healthier. They are also so easy to make at home and a great way to use up any vegetables that may be getting to the end of their best. If you make a big pan of soup it is easy to divide up into freezer bags to freeze. To defrost simply place the frozen soup in a pan over a medium heat until it has reheated! 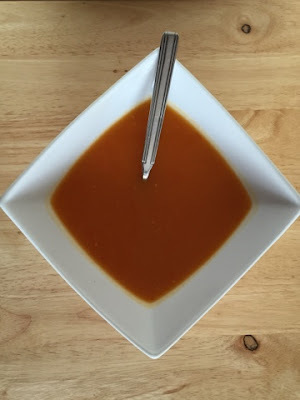 In my soups the only thing that I add to the vegetables is a stock cube for a bit of extra flavouring, there are no hidden nasties which makes them so much better for you than mass produced soups. When I was clearing out my freezer last week I found one last piece of leftover turkey breast. You will probably know how much I love using leftover meat in new meals. I often find that when the meat is cooked for a second time it is a lot more flavoursome! 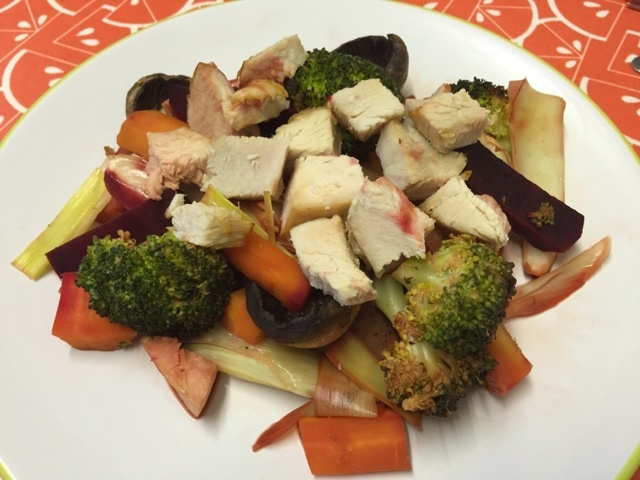 Today's recipe is a great way to increase the amount of vegetables in your meals. If you are following the Slimming World plan this is a delicious free from meal and is full of speed vegetables and protein! Turkey is also a super low fat meat! Rowse Campaign For Real Manuka - Warming Chamomile Pick Me Up! If you are into "superfoods" you will no doubt be aware of how great Mankua honey is. If you do not know what Manuka honey is or what the benefits are from Mankua honey, let me explain a little bit more. Mankua honey comes from bees who forage the Manuka bush in New Zealand. It has been used for decades by the Maori community in New Zealand who swear by its healing and anti bacterial properties. It can be used to fight off colds and illnesses as well as boost you immunity and can even help skin conditions. But, that is not all it can be used for. It is also great for digestion, boosts your energy levels in a natural way and can even be used as an anti inflammatory! I was amazed by how good this honey is for our bodies. When buying Mankua honey it is essential that you look for the NPA grade. The higher the grade, the higher the purity and concentration of the Manuka. 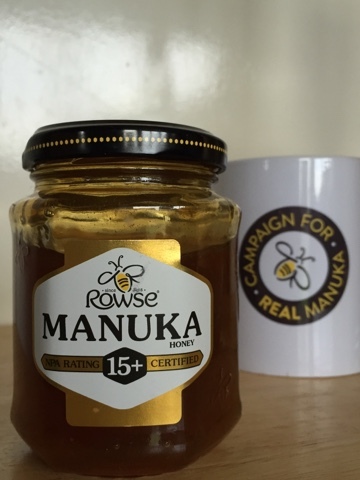 I was recently sent a jar of Rowse Manuka Honey NPA 15+ to use in creating a drink. 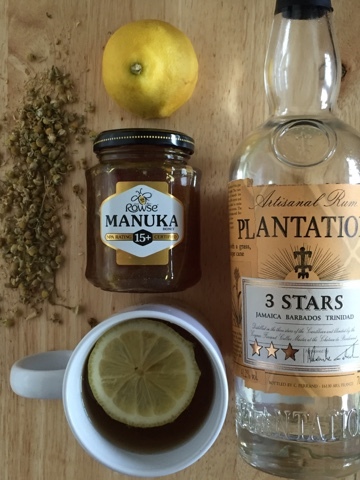 With the weather being as it is I decided to make a warming drink that will help chase away the cold blues and will soothe a sore throat and cough. Here is my Warming Chamomile Pick Me Up. This week I have decided to combine the linky with my weekly round up. 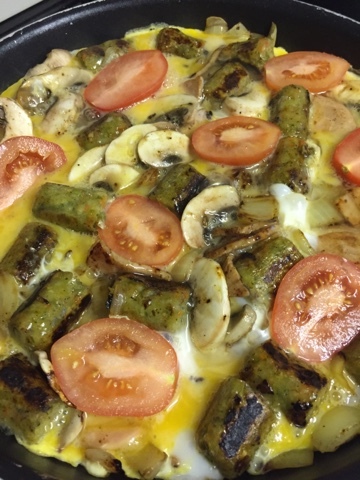 Last week there were so many delicious recipes shared. As always after having a good look through I was left hungry which is not great as I am trying to loose a bit of weight! But I am delighted to see so many people joining in so thank you. 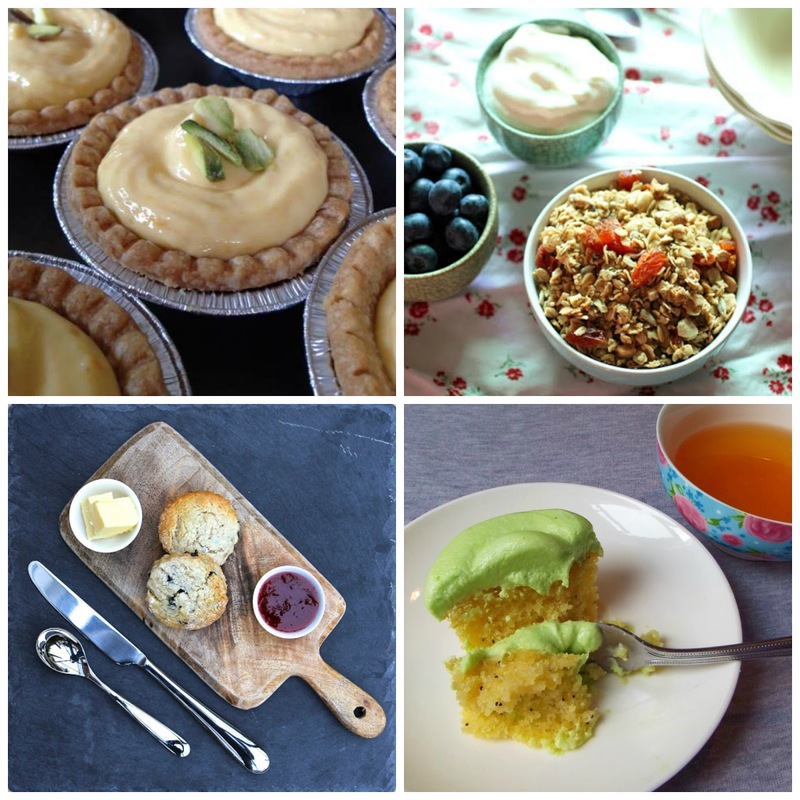 Last week CookBlogShare was hosted by Kerry Cooks and she did a great job, thank you Kerry! 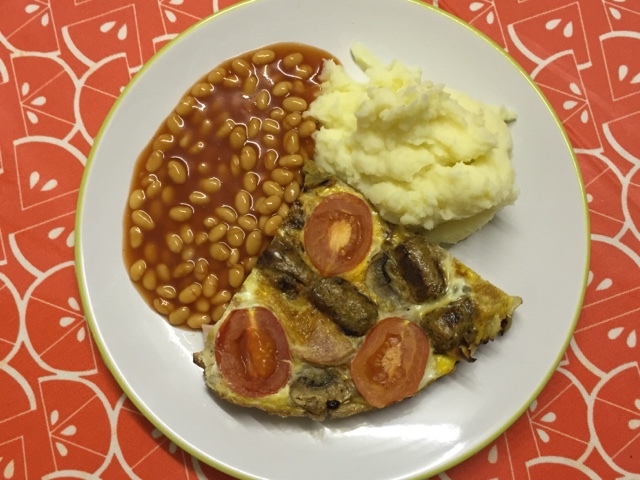 Last week there was a great variety of both sweet bakes and savoury meals. Well Monday has come around quickly again. The weeks seem to be flying by! When it came to planning this weeks meal plan I was amazed by how much I have run down the freezer. So I did struggle a little with what to cook. This week I will be going to the market to stock the freezer up again. Therefore until I go the market I will be using up the last few bits. I love chocolate cake, but I do not love the guilt that comes with it. That is why I decided to make a chocolate cake which has a bit more goodness in. If it contains a few super foods it cannot be all bad now, can it? 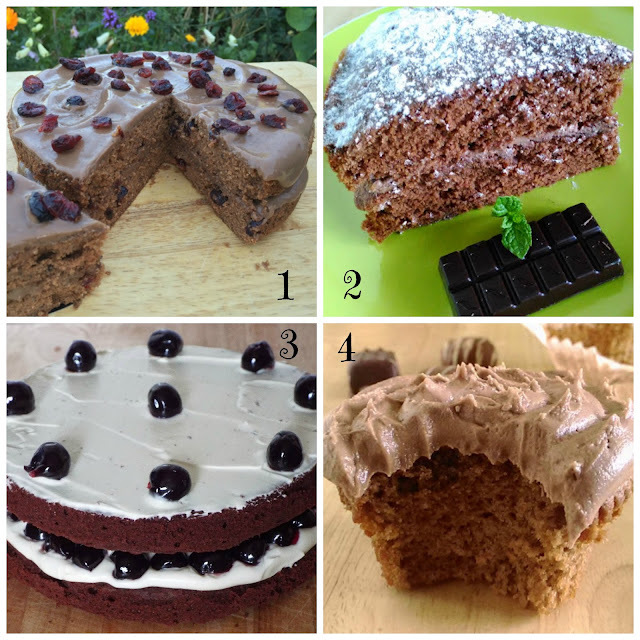 When I decided what ingredients to use for this cake I decided to use chia seeds. Chia seeds are one of the healthiest seed there are, they are not only full of nutritional goodness that have important benefits to your body and brain. Cranberries are full of antioxidants and even contain anti inflammatory properties. Then the raw cacao contains many essential minerals, helps increase alleviate fatigue. The creme patissiere is dairy free and made using coconut milk. 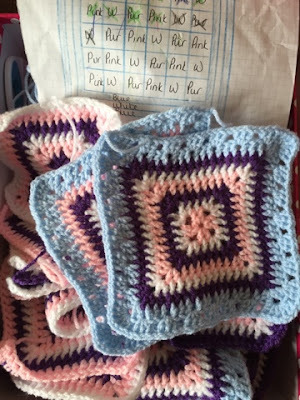 This week has been plagued with constant back ache so I really have not been up to much apart from the daily routine of school runs, being with the children, housework, blogging and crochet! Even though it has not been a great week I have enjoyed looking for the little things that make me smile. One thing that really took a hit while my depression was at its worst is my photography. Recently I have rediscovered my love of taking pictures in our garden. On Sunday they were my only pictures. 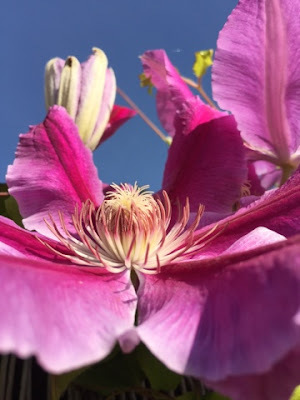 We are still amazed by how many times this beautiful clematis has flowered this year. 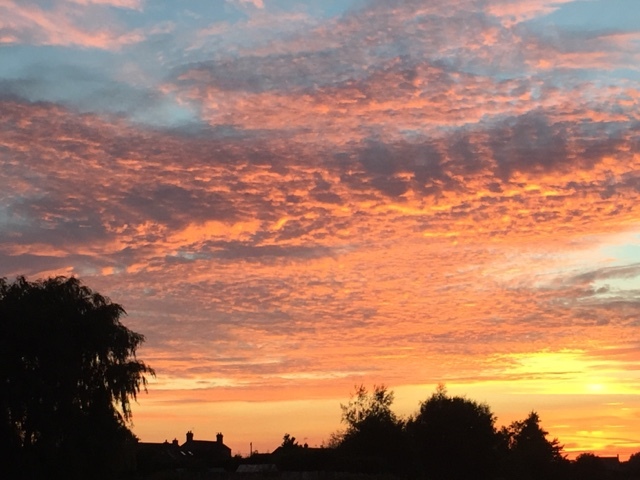 This was the beautiful end to Monday. While I was in the back garden the hubby called me to look at the sunset at the front of the house. It was such a beautiful sight I had to take some pictures. On Tuesday I popped down to my mum and dads house once the hubby came home and went down on my bike. When I left their house I couldn't resist a ride down the lane. At the moment my back is so bad. At its worse it hurts just when I walks or stand upright let alone if I do any form of exercise. However, it does not hurt when I ride my bike! 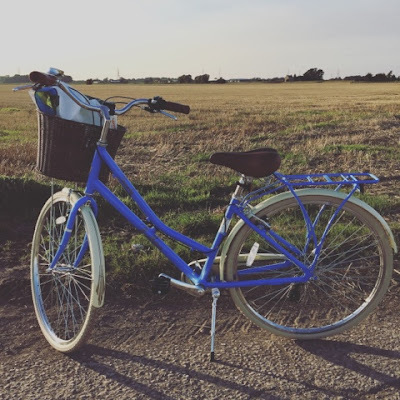 I think that it is because I have a classic style of bike and I am sat up straight. That was one of the reasons that I went for this bike. So at the moment I am thankful that there is something I can do which doesn't aggravate the pain. On Wednesday I was sat looking at our not so little puppies. When I looked back at pictures of how small they were I cannot believe how big they have got. 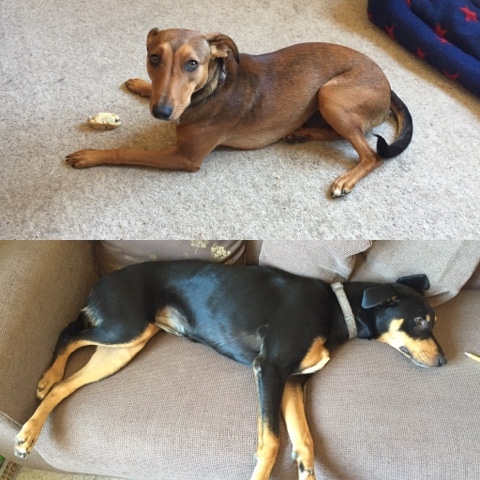 They are now 9 months old and are still crackers! Joseph has started doing an after school baking class at school. 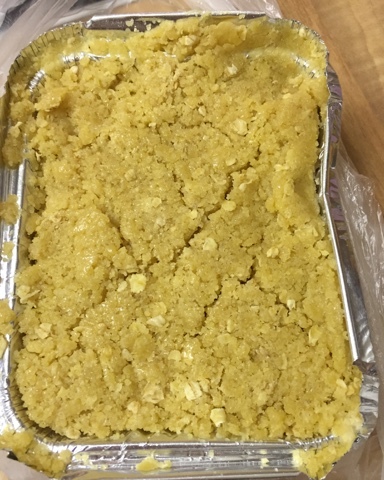 This week he brought home this delicious apple crumble which the hubby, Joseph and I enjoyed once the twins were in bed! It really was delicious, maybe we'll have a future baker! The mornings this week really have been quite drab, foggy and cold. Normally from here we can see miles and miles of agricultural land. On Friday all that was visible was the end of the garden and fog! We started Saturday with Isabella's ballet class and a trip out just me and my girl! I really enjoy our Saturday mornings out, it is very rare that I get to spend one to one time with any of the children, even less so with the twins. So Saturday mornings give Isabella and I time to bond and have girlie time while the hubby has the morning with the boys. The twins then went on to enjoy their nursery friends birthday party, Joseph was out at his friends house, the hubby busy with his bike so I was able to sit and do yet more crochet squares for Isabella's blanket. 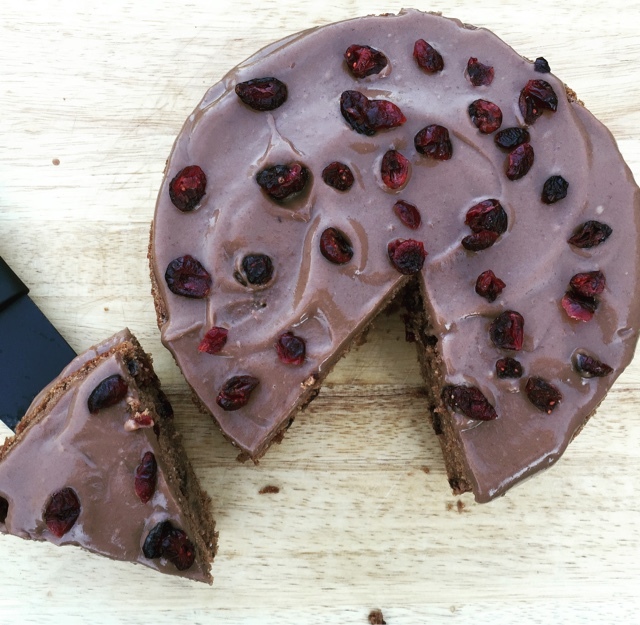 Edge of Belgravia Black Diamond Knife Block and Precision Chef Knives - Plus Giveaway! I love discovering new kitchen gadgets and utensils that make cooking and food preparation easier. When cooking and preparing foods having a good set of knives is essential. The knives that I currently use are good, but I have been looking for some that were better and ones that would last. So when I was asked if I would like to try out Edge of Belgravia Precision Knives and Black Diamond Knife Block I was curious to see if these would be the knives that I have been looking for. Edge of Belgravia are one of the world most innovative brand of chefs knives. They offer a contemporary design along side high tech materials and supremely sharp stainless steal knives which make their knives an irreplaceable piece of kitchen equipment. Edge of Belgravia was established in London in 2010 and officially launched in 2012 make them a relatively new brand which really has gained high acclaim in a short period of time.